A synagogue in California was covered with obscene words on Wednesday, sparking fears about a possible uptick in hate crimes in the wake of the deadly shooting in Pittsburgh last week. Police said a vandal wrote anti-Semitic messages across the Beth Jacob Synagogue in Irvine, California, early Wednesday, just days after a gunman killed 11 Jewish worshipers in Pittsburgh. The accused shooter, Robert Bowers, 46, was indicted on multiple charges, including federal hate crimes. Irvine Mayor Don Wagner said the vandalism and the deadly shooting are tragic reminders that "historical prejudices remain alive in evil people." A Southern California synagogue was covered with obscene words on Wednesday, Oct. 31, 2018. "This morning's news of anti-Semitic vandalism against one of Irvine’s synagogues, along with reports of a recent incident at Irvine Valley College, are both enraging and unacceptable," Wagner wrote in a statement Wednesday. "They will not go unchallenged by the good people of Irvine. An attack on anyone in Irvine of any faith is an attack on us all." Surveillance footage released by the Irvine Police Department shows a hooded assailant stooping down to spray-paint the front of the building before fleeing on a bicycle. Authorities said they've increased patrols at Jewish centers in the area after the attack. Police didn't disclose any details about potential suspects. Police said they plan to "aggressively investigate" the incident as a hate crime. The anti-Semitic message was quickly painted over, according to church leaders. 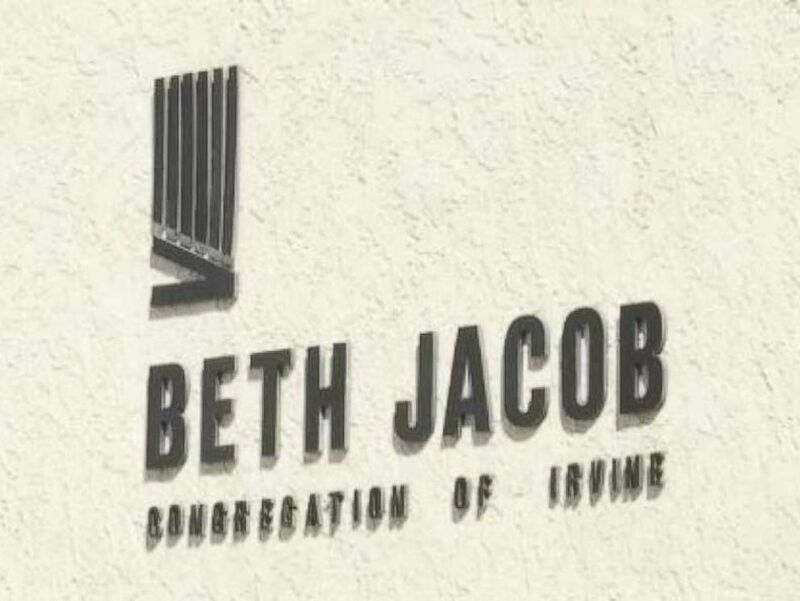 "The idea of something like that happening in America and Irvine is unreal," Allen Berezovsky, president of Beth Jacob's board, told the Los Angeles Times. "My family immigrated here from the Soviet Union to escape such things ... and to find it here in America, it's scary and disturbing."